"Uplistsikhe, whose name translates to 'Fortress of the Lord', is an ancient rock-hewn town which played a significant role in Georgian history over a period of approximately 3,000 years. Archaeological excavations have revealed extraordinary artifacts dating from the late Bronze Age all the way up to the late Middle Ages. The ancient cave city was built on a rocky bank of the Mtkvari River, approximately 15 kilometres east of the town of Gori. Between the 6 th century BC and 11 th century AD, Uplistsikhe was one of the most important political, religious, and cultural centres of pre-Christian Kartli, one of the predecessors of the Georgian state, and flourished until it was ravaged by the Mongols in the 13 thcentury. Beginning its history in the 2nd millennium BC, Uplistsike has been identified as one of the oldest urban settlements in Georgia. Back then, the complex was a very important cultural centre for pagan worship in the Kartli (Iberia) region. Archaeologists have unearthed numerous temples and findings relating to a sun goddess, worshipped prior to the arrival of Christianity. 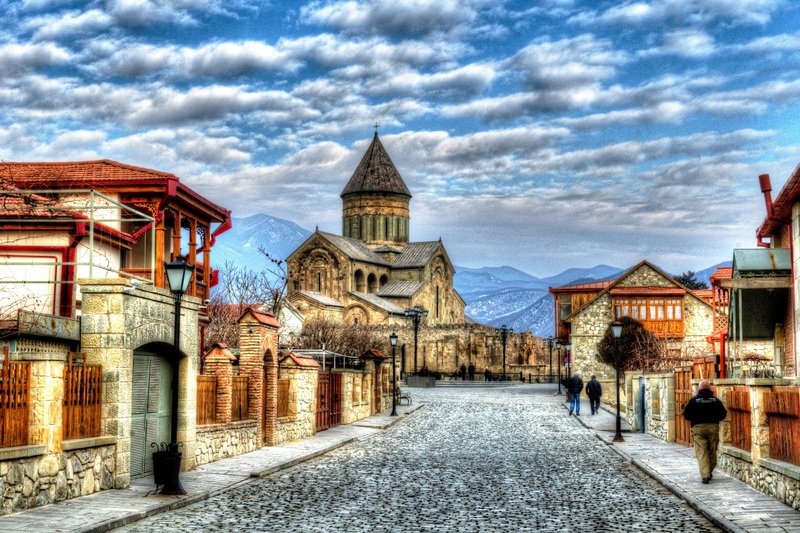 When Christianity arrived in Georgia in the 4 th century AD, the city lost importance in favour of the new centres of Christian culture, most notably Mtskheta and Tbilisi. Nevertheless, life continued in Uplistsikhe. Christian structures were built, and for a short time Christianity and the old faith coexisted in the city. 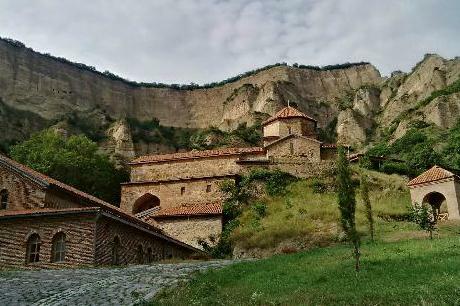 Following the Muslim conquest of Tbilisi in the 8 th and 9 th century AD, Uplistsikhe reemerged as a principal Georgian stronghold and became the residence of the kings of Kartli, during which the town grew to a size of around 20,000 inhabitants. 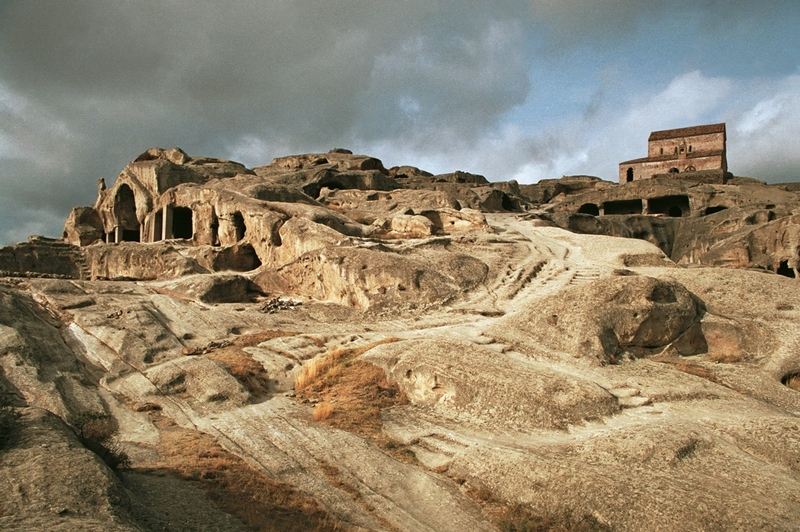 Uplistsikhe is remarkable for the unique combination of styles from rock-cut cultures of the region, most notably from Cappadocia (in modern Turkey) and Northern Iran. The ancient complex can be roughly divided into three parts: a lower, middle, and upper section covering an area of approximately 40,000 square meters. The middle part is the largest and contains the majority of the rock-hewn structures. It is connected to the lower section via a narrow rock-cut pass and a tunnel. Narrow alleys and sometimes staircases radiate from the central "street" to the different structures. 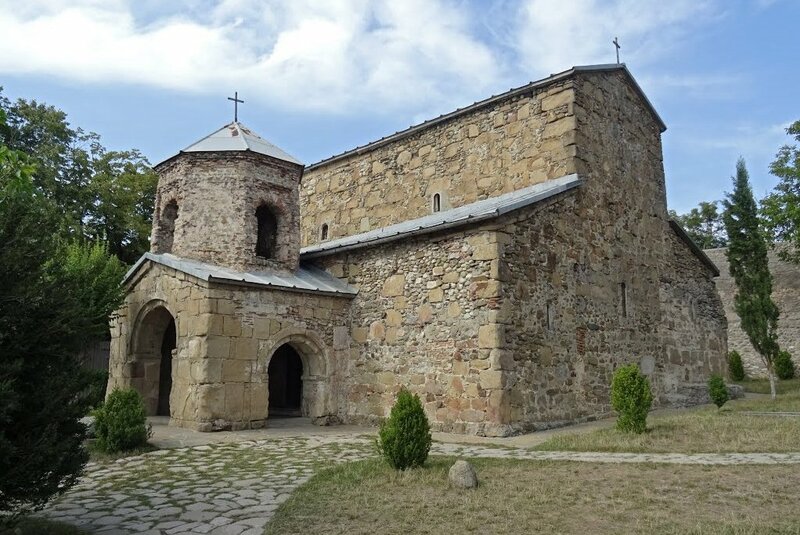 On the upper level is a Christian stone basilica, dating from the 9 th-10th century. The rock-cut structures include dwellings, a large hall, called Tamaris Darbazi, pagan places of sacrifice, and functional buildings, such as a bakery, a prison, cellars, and even an amphitheatre, all connected by footways and tunnels. Archaeological excavations have discovered numerous artifacts belonging to different time periods, including gold, silver and bronze jewellery, and samples of ceramics and sculptures. Many of these artifacts are in the safekeeping of the National Museum in Tbilisi. The Uplistsikhe cave complex endured for around 3,000 years but finally met its destruction at the hands of the Mongols in the 13 th century. Since then, the site was virtually abandoned, used only occasionally as a temporary shelter in times of foreign invasions. 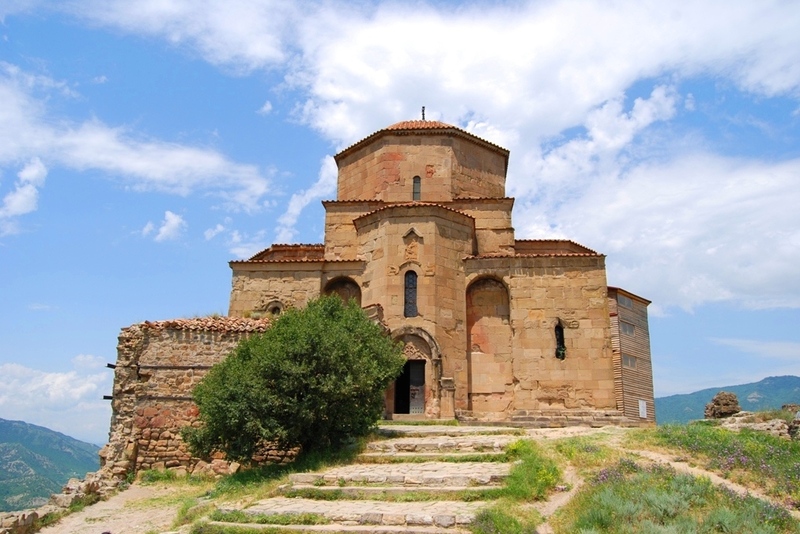 It is now on the tentative list for inclusion into the UNESCO World Heritage program, and is a popular destination for tourists visiting Georgia.